Here is a Short Profile of each of our counsellors and a map showing their primary location. 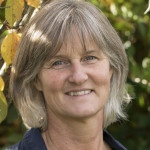 BACP Senior Accredited Registered Counsellor with over 20 years’ experience as a therapist and supervisor in health care settings and in private practice. Qualifications: MA Counselling and Psychotherapy, Diploma in Humanistic Counselling, post-qualifying certificate in Time-Limited Therapy and Diploma in Counselling Supervision. I work with individuals within a humanistic integrative model of counselling in both short term and long term work tailored to meet individual needs. My experience includes the range of issues that people struggle with in life eg. relationship difficulties, loss, depression, self-harm, sexual abuse, stress, anxiety and low self-esteem. I offer a non-judgemental safe space to explore and work on concerns and difficulties whatever your background, culture, beliefs or sexual orientation. I have also been involved in the training, supervision and assessment of counsellors for many years in various professional roles. I am currently Head of Professional Standards at BACP. My practice is in Coombe Bissett, 4 miles from Salisbury city centre. Fiona is not currently taking on clients. I supervise counsellors in training, newly qualified counsellors and experienced counsellors. I am registered as a Senior Accredited Counsellor Member of BACP – and I am a Fellow of BACP. In addition to my counselling qualifications I have an honours degree in psychology and a certificate in supervision. I practice long term and brief therapy with adults (18 and over). I adapt my methods according to the needs of each client. My core training is psychodynamic. 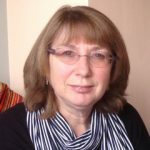 I am an experienced practitioner and have practised, taught and supervised counselling in a range of settings for over 30 years. I am a past Chair of BACP. I work in Salisbury, ten minutes walk from the centre. If you are considering having counselling you can arrange an initial session to explore your needs before you decide whether or not to commit to having counselling. 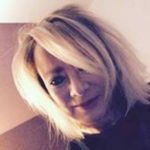 I am an experienced counsellor and psychotherapist, formerly a registered nurse and have worked for nearly 30 years within the caring professions. I worked for some years in GP surgeries and currently work in an NHS clinical psychology department, a licensed fertility centre and private practice. I work with individuals and couples using a number of different therapies including psychodynamic, CBT, person centred and systemic approaches, tailored to the individual needs of the client. As part of my continuing professional development I have recently gained experience in mindfulness based cognitive therapy. Therapy can be long and short term and is for people experiencing emotional and relationship difficulties, reducing distress and enabling individuals to engage in a more fulfilling life. Consultations can be held in central Salisbury and the Pewsey Vale. MBACP (Accredited) Counsellor & Supervisor, Diploma in Therapeutic Counselling , Certificate in Supervision, Group Facilitation Training. I offer short and longer term counselling in Salisbury and Ringwood. I work within a Humanistic Integrative model of counselling and will work with you to find an approach that suits your needs. I offer daytime and evening appointments. For the last 10 years I have worked in a university counselling service and I have experience in a variety of other settings including a 6th form college, a GP surgery and in private practise. I have worked successfully with a diverse range of clients and issues including anxiety, depression, OCD, self-esteem, bereavement, eating disorders, identity, sexuality and relationship problems. Alongside one to one work which I do from comfortable private consulting rooms in the centre of Salisbury, I facilitate groups for support on specific themes e.g. anxiety, self- esteem. I also work as a supervisor for students and qualified counsellors. I am an experienced and fully accredited Psychotherapist and Group Analyst with the United Kingdom Council for Psychotherapy (UKCP). I practice from comfortable and welcoming consulting rooms in central Salisbury. 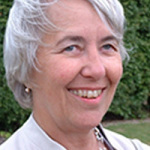 I offer psychotherapy/counselling to individuals and groups and welcome any enquiries. Following your contact with me we can start to work out what you would like to gain from therapy and how we can work together. You may not be clear about what type of therapy you need or perhaps what would work for you. We can discuss this, and I can provide recommendations – sometimes short term focused work can be useful or something more long term, or working in a group environment, other times a further referral might be required. As well as working with adults I also work with children and young people from 14 years upwards. I’m an experienced psychodynamic counsellor and psychotherapist with a private practice in central Warminster, Wiltshire. I am BACP accredited and also BPC registered. I offer one to one therapy for young people (16+) and adults in a safe, confidential space where you can reflect on the difficulties in your life to gain understanding and the possibility for change. After an initial consultation the therapy usually consists of a weekly 50 minute session. Therapy can be short-term and focused or open-ended – depending on your need. I specialise in working with clients whose lives have been affected, in any way, by cancer or other life threatening illness. I am also able to offer one to one psychodynamic supervision to newly qualified and experienced counsellors. BS Ed., MA Ed., MBacp., member BPS. Reg. The National Autistic Society. 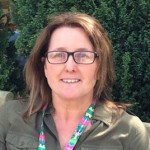 Beth specialises in working with toddlers to adults for whom an autism assessment is deemed useful. She will provide further guidance and support post assessment. As a fully qualified counsellor, Beth offers counselling for teenagers and adults for Autism related issues such as anger management, anxiety and depression. We are a group of fully qualified counsellors and psychotherapists who have many years’ experience of working in private practice, organisations, employee assistance programmes, hospitals, schools, colleges and universities and for the NHS in GP surgeries. Our counsellors work with a variety of approaches. If you are unsure about the different kinds of therapy and what would best suit your needs, or which therapist to choose then please get in touch and we will be happy to discuss these concerns with you. Sarum Counselling is an organisational member of the British Association for Counselling and Psychotherapy and all members practise in accordance with the BACP Code of Ethics. "Thank goodness there was someone I could go to every week when things were so bad. I now know I can deal with things differently"
© 2019 Sarum Counselling. Registered Charity 1083255.